Well winter is fast approaching, and dare I mention Christmas. With the recent mild weather the garden railway has continued to run at weekends although “leaves on the line” takes on a whole new meaning when you are only one 22nd scale! Whose idea was it to build the track under those trees? Strange but “Brexit” seems to be adversely impacting our plans to extend the railway museum. It appears that uncertainty and currency fluctuation may cause the cost of the museum to increase by 10% or more. Since we started fundraising in late September we have managed to reach around half of our £50,000 target. 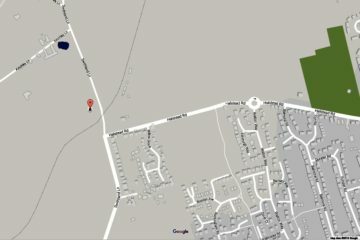 When we reach £31,000 we can start putting things in motion and place an order for the building. Obviously the sooner we can do this, the better chance we have of avoiding any price rises. To help us get to this intermediate target as soon as possible our generous supporter, who is currently matching all of your donations, has agreed, for a limited period, to TRIPLE your donations. In keeping with the “Black Friday” theme all donations made from NOW until Friday 30th November will be TRIPLED. Every £1 you donate will add £3 towards our target, and if you gift-aid your donation, then it will be worth £3.75. Full details of how to donate can be found on our website. At Granite’s, until November 30th, we have some great offers for Christmas presents! Our calendars are reduced to £8! You can choose between Railway or Nature themed calendars, which include fabulous pictures taken along the branch line and heritage centre site. Our boot scrapers are returning for a short period at just £38. We only have 10 available, so you’ll need to be quick as they are on a first come first served basis (on sale from Tuesday lunchtime). Our bags of coffee beans are on offer at only £6 per bag, or 3 bags for an excellent £16! If you have a bean-to-cup coffee machine or grinder you can now enjoy the same special blend of coffee at home that we serve in Granite’s! All profits from the calendars and boot scrapers will go towards the museum extension. Recent visitors to the railway museum may have noticed that several of our exhibits seem to be missing. Fear not! 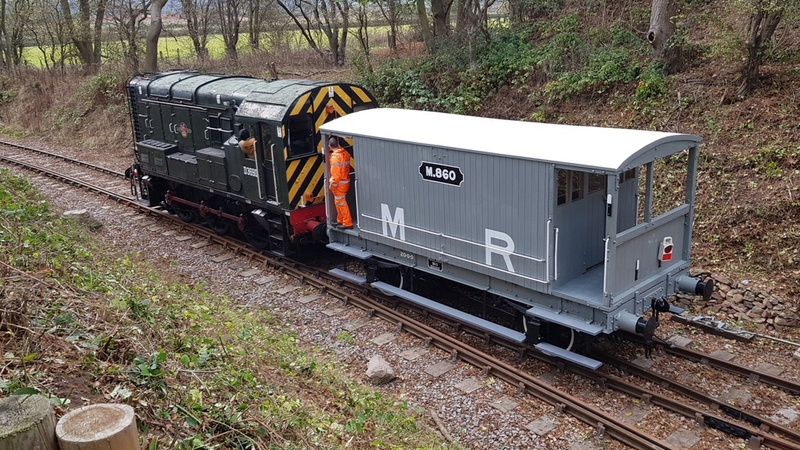 The recently renovated brake van has taken part in the GCR’s armistice ceremonies, whilst the MS&LR coach has been transported up to Edinburgh as part of their armistice commemorations. By the time you read this both should be safely home in our railway museum. The Ruston narrow gauge diesel engine is, however, soon to depart to a new home, whilst a 1960 Motor-Rail “Simplex” 4wDM narrow gauge diesel locomotive will be taking its place down in the quarry. Whilst we were disappointed not to secure Heritage Lottery Funding for our Discovery Building this has not deterred us, and our partners, from continuing with the project. Indeed, for the next six weeks, De Montfort University, through their Graduate Champion scheme, are paying for a Funding Researcher to seek out alternative sources of funding. We must say Thank You to the children and staff of Rothley Primary School who have been raising funds for us over the summer. Their donation has purchased a touch sensitive monitor for use in the Heritage Rooms. This interactive display will allow visitors to discover more about the Heritage Centre, its development, and the history of the area through numerous videos, narrations and historical photographs. There is plenty to do, collating the material for visitors to access, as well as some technical problems to snag. We want to have this addition to the Heritage Centre available by Christmas.